Caring for Giants is a relatively new tour at Animal Kingdom Park. The first guests got to experience it around the end of March 2017 and we got to experience it the first week of May. I knew from the second I seen the announcement for this tour that I was going to have to book it. I am a huge animal lover and find the work that Disney are doing to help with conservation amazing. The tour is a backstage look at where the elephants that live at Animal Kingdom call home. The check in area is on the left of the main entrance to Kilimanjaro Safari. They ask you to check in 15 mins before your tour begins as they run a very tight tour schedule. Once checked in your are given this cute name tag. This paper is actually made from elephant poo. Yup you heard me, poo! Once you are all checked in and your group are ready to go, you are given the rules of going backstage. If you have ever done any other backstage tour you will know that no photography or videos are allowed of the backstage areas. This helps to preserve the magic of the Disney parks for all the guests onsite. Some people do find going backstage ruins the magic a little but I love it and think it adds to it. When you see the work that goes into making Disney Parks what they are, it just makes me love them even more. Our guide lead us backstage and past the back the Lion King building over to an area where we met our driver. We all bundled into this little air conditioned bus and drove over to the elephant area. Once you are at the area you are met with another cast member who will answer all your Elephant based questions. She also shows you where you move to being back onstage and can start taking pictures again. This is really why you are looking at this post – the elephants themselves. The elephants have a huge area to roam- so much more than you can see on the safari. This means that Disney does not guarantee what or who you will see. We were so lucky as we seen everyone – even baby Stella. We were on the 10am tour and our guide says the elephants are always very active at this time. Baby Stella was seen nursing from her mum during our tour – It was so beautiful. After a period of just being able to take in the beauty of the elephants we were introduced to a cast member, who is a cultural representative from Africa. Unfortunately I didnt catch where in Africa she was from. She told us all about Elephants in the wild and the troubles they are facing. She then went onto explain about the Elephants and Bee’s project currently running in areas of Africa. I don’t want to ruin it for anyone who doesn’t already know but the project is helping with the conservation of elephants in the wild. The project is run in collaboration with Disney Conservation Fund. At this point we are told that our hours is up, it has gone so fast! Our guide thanks us on behalf of the elephants as she explains that our full tour cost goes directly to help with conservation efforts. Caring for Giants is amazing. Its not fancy, its a viewing area to see the elephants better, but its so worth the cost! When you are on the safari you see a tiny glimpse of these beauties but on this tour you get to see so much more. The work that goes into keeping the elephants happy and healthy is huge. The cast members were so passionate about the animals and that really came across in our experience. Okay so the boring bits, how much does it cost and how do I book. The tour costs $30 per person regardless of age. The minimum age for this tour is 4 but all under 18’s must be accompanied by an adult. 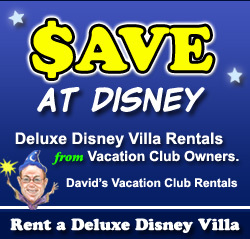 There are DVC and annual pass holder discounts available. Photographic ID is required when you check in. The tour is 60 mins long and runs everyday. The first tour is 10am and begins every 30 mins until 4.30pm. To book you have to call Disney and the number is (407) 939-7529. Guests from the UK I would call the Disney UK number, 0800 169 0730 and ask to be connected with Tours. There is more information available of the Disney website – here. What a neat opportunity – and I love that the full price goes to conservation. It looks like you had a great time! I had no idea Disney also provided tours like this. Great to see that you had the opportunity to try it. It is important that there are projects to protect the elephants, this way they create the perfect awareness for it. This sounds like a fantastic tour that goes to a great initiative! I’m really happy when I hear about corporations giving back and supporting good causes. I also had no idea Disney provided tours like this, and it makes me more interested in visiting Disney one day (Totally missed the boat on that one and didn’t get the chance as a child). This is a kind of tour you need to go on. I had done a post on why not ride elephants in bangkok. Instead you can sign up for tours like this. Animal Kingdom is my favourite park at WDW and we did enjoy seeing the elephants on the kilimanjaro safari but it must have been a great experience to get close up to them! I LOVE THIS. Every time I see the words “you’re not guaranteed to see” any kind of animal I am SO HAPPY. I love that they’re finding ways to protect animals and keep them safe without forcing them to interact with humans. What an awesome experience to see Stella nursing! How precious. This is fantastic, more of these conservation posts are really needed. It is my dream to be able to interact with an elephant like this! So important these days to be able to see these beautiful animals in a way that is safe and healthy for them. Great that so much awareness has been raised that people care about the health of the elephants more now than ever before.